Debra’s father and grandmother were painters and amateur naturalists. 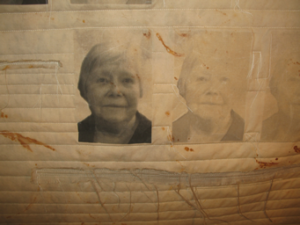 Her childhood weekends were often spent with them learning to draw and paint, or taking hikes and fossil-hunting. 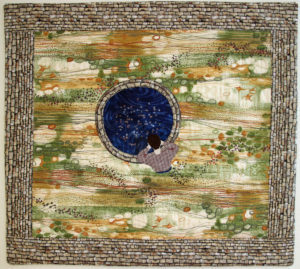 Although she taught herself to sew as a child and designed doll clothes and constructed purses from fabric, cardboard, and beads, it wasn’t until much later in life that she became interested in quilting. 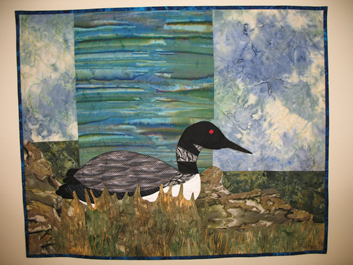 After years of working primarily on garments, she decided to make a quilt and was hooked. 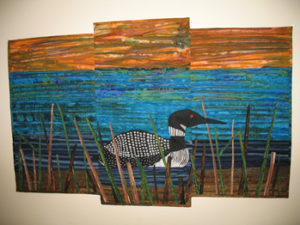 Although she enjoys traditional quilting, she is more excited about the tremendous possibilities for design in art quilting. 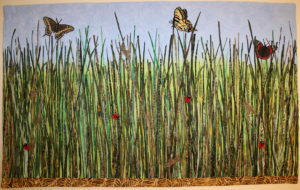 She is currently interested in exploring the use of texture and color to incorporate nature themes into her work. The art quilt presents a tremendous opportunity for expressing design ideas and themes. 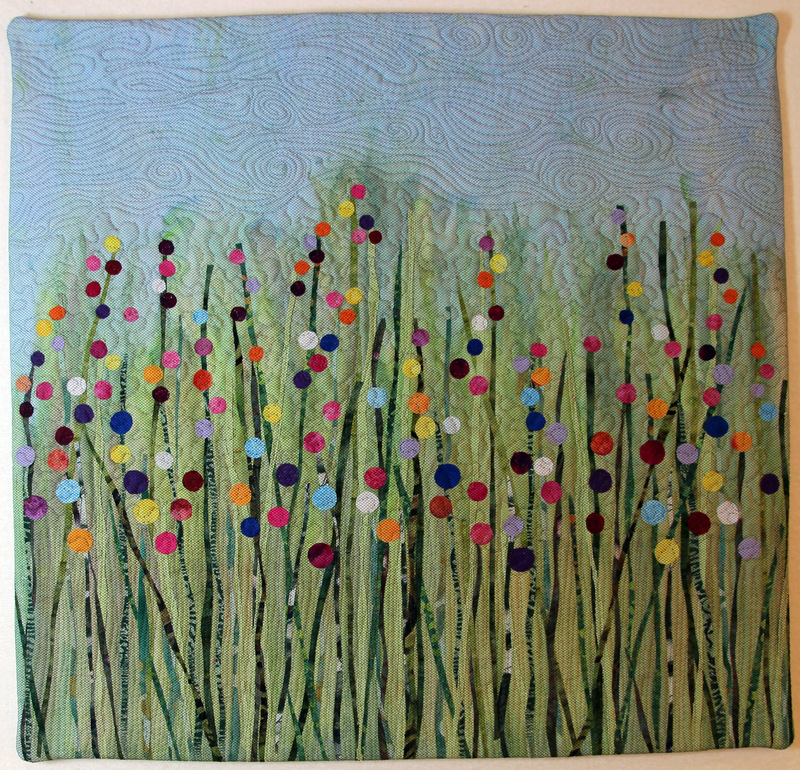 I quilt because I enjoy working with fabric. 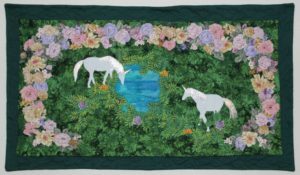 I make art quilts because taking something originally intended to be utilitarian and making it into a piece of art is a challenge, and very rewarding. 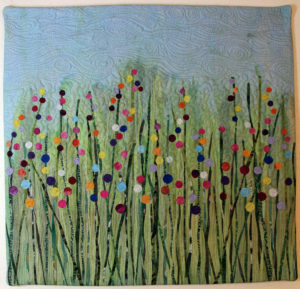 Manipulating textiles and fibers in the creation of art is a fascinating process. 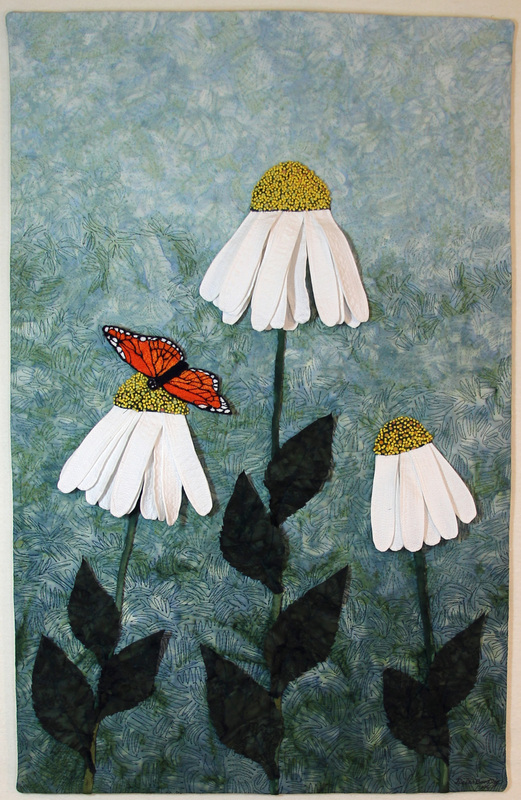 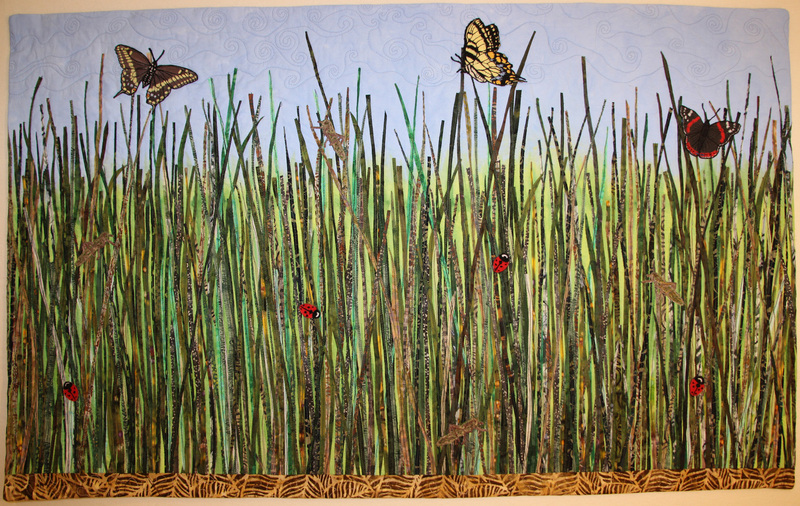 It is exciting to see people react to art quilts and accept them as art.